Soo Chew Studio Sdn. Bhd. 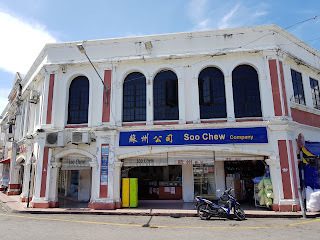 Soo Chew Studio was established in 1963. Providing photo developing services and photography for special events such as weddings and sells everything from film and camera batteries to lenses and camera tripods along with the latest and greatest in digital cameras. Soo Chew Studio also specialize in repairing photo, photo repairs, passport photos, driving license photos, framing, large prints (11R, 16R, 20R up to 30R) and group photographs.